In this page, we share information about entrance into the seminar with you. ↓ You also can get information via official Twitter. If you have some question, please contact us by e-mail. Please confirm the following links about the application procedure and schedule of exam. 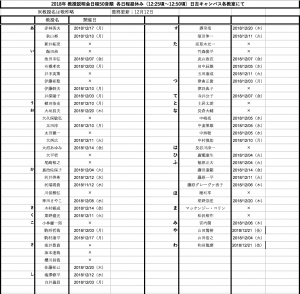 If you pass the exam, you can enter the seminar. Exam of C schedule is held by each seminars. This event has done . Although this document stated that PEARL students can’t participate in PCP, PEARL students can participate in PCP correctly. We apologize for any inconvenience. We are going to hold an information session for seminars of faculty of economics “by professors” at Hiyoshi campus from 12:25 to 12:50. It will be good opportunity to ask each professor about seminars. Please refer to the image about dates and places. You can get information about seminars for PEARL students from following links. 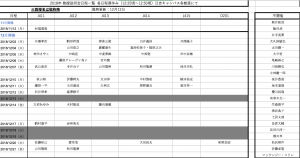 ※The seminars which are printed in this file are carried on entirely in English. 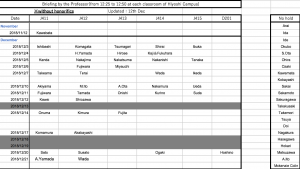 However, there also are seminars which are carried on Japanese and accept PEARL students.